Kebon Kacang is without doubt the talk of the town when it comes to the best nasi uduk (steamed coconut rice) with side dishes in Jakarta. Many may unconsciously link the ideal nasi uduk with that offered in the area, which is understandable as Kebon Kacang has been renowned for the dish for decades. Not long ago, my culinary adventures took me to Pasar Baru, which is home to one of the most popular nasi uduk places in town: Nasi Uduk Kota Intan. 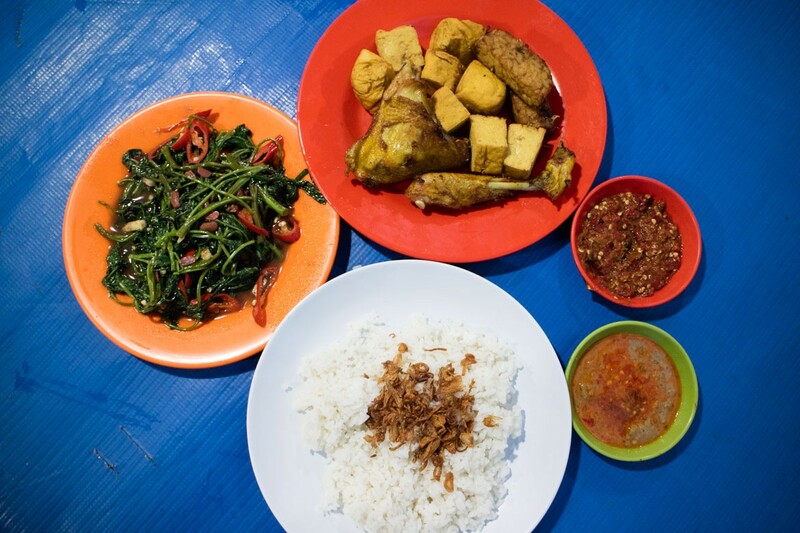 Although it has been around for quite a while, it is not a fancy restaurant; only a few tents welcomed me when I set foot in the warung on Jl. Samanhudi. Located on the pavement right in front of GKI Samanhudi, it was 5:30 p.m. and the place was beginning to see a lot of devotees. Not all the tables were occupied, but the queue that had formed at the counter was quite long. The place offers a different concept compared to other purveyors in Kebon Kacang, which involves customers choosing their side dishes at the counter and waiting for them to be served with the nasi uduk. The side dishes are displayed on a long wooden counter and are ready to be cooked according to customers’ preferences. Besides the usual chicken, tempeh and tofu, you can also have duck and fish, along with a few vegetable choices including water spinach and bean sprouts. I opted to order a couple of pieces of chicken along with freshly fried tofu. To lend a healthy touch to my meal, I also went for the water spinach. It may sound a bit odd to eat nasi uduk with sautéed water spinach, but hey, it’s never wrong to try something new, right? My first spoonful took me straight to heaven. The delicacy and savouriness of the nasi uduk was a treat for my taste buds, so much so that I could have just eaten it with some peanut sauce and it would have been more than enough. The fried chicken was tender with a hint of sweetness. The combination of water spinach with nasi uduk, though, was not really to my liking. 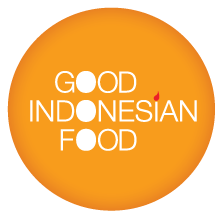 Explore more Indonesian cuisine here.